The number of familiar food and shopping options for visitors interested in Asian cuisine, culture, and shopping is about to explode. That’s because Shirokiya Holdings, Inc. is tripling the size of it’s food court and beer garden next year. 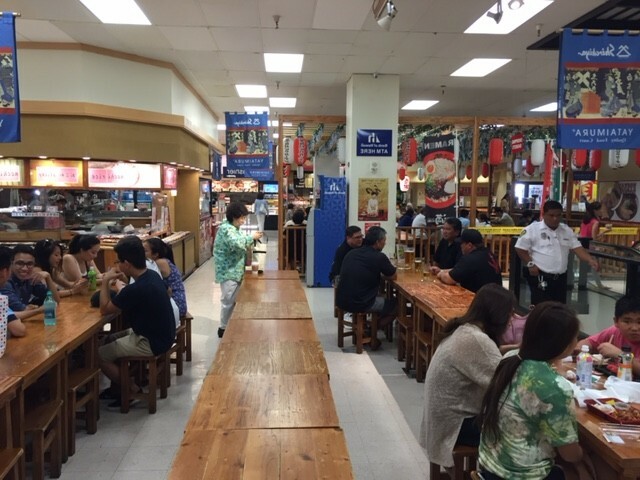 The new $35 million Japanese food village is scheduled to open June 1, 2016 on the ground floor of the new expanded Ewa wing at Ala Moana Center. According to the Honolulu Star Advertiser, the 55,241-square-foot project will be modeled after a traditional Japanese town reminiscent of “old Kyoto,” the former imperial capital of Japan, with about 60 different shops, restaurants and new entertainment areas. 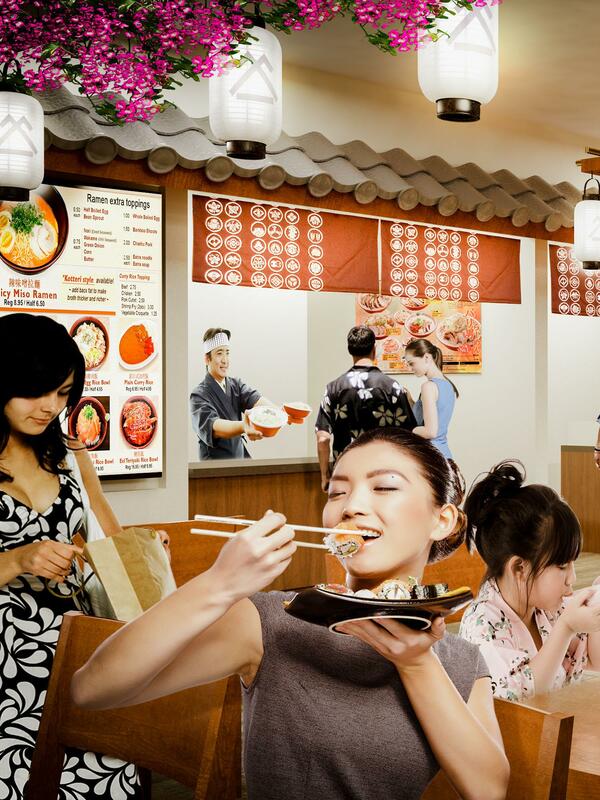 The Japanese food village will host about 60 different shops, restaurants, and new entertainment areas. The longtime Ala Moana department store has about 40 potential vendors from Japan that are waiting to sign lease agreements, said Daisuke Mori, project coordinator, the Star Advertiser reports. “Our mission is to introduce various Japanese food selections, Japanese traditional culture and the spirit of Japanese hospitality (omotenashi) from Hawaii to the world,” he said. “The new location is very good,” Mori said, adding that the company expects to triple revenue once the new location is built. Currently, the Japanese food village is housed in Shirokiya. Shirokiya has around 60 employees currently and will substantially increase staff, though the company hasn’t decided on a firm count. The company plans to have discussions with each of its current vendors, Mori said. Japanese-language radio station KZOO-AM 1210, which does live broadcasts to Japan from a glass-walled studio inside Shirokiya, will move to the new location, though the exclusive, invitation-only Vintage Cave restaurant will remain at the existing location, Mori said. Ala Moana, with nearly 300 stores and restaurants, is opening its roughly $570 million expansion project at the Ewa end of the mall on Nov. 12. The project, which is expanding the former Sears space to 650,000 square feet on three levels, will include the first Bloomingdale’s in Hawaii and other large retailers and restaurants, as well as 200,000 square feet for smaller tenants. About 40 of 60 new tenants will be open in November. You’ll have to wait a few months to experience a piece of Japan right here in Hawaii, but, according to the developers, the wait will be well worth it!